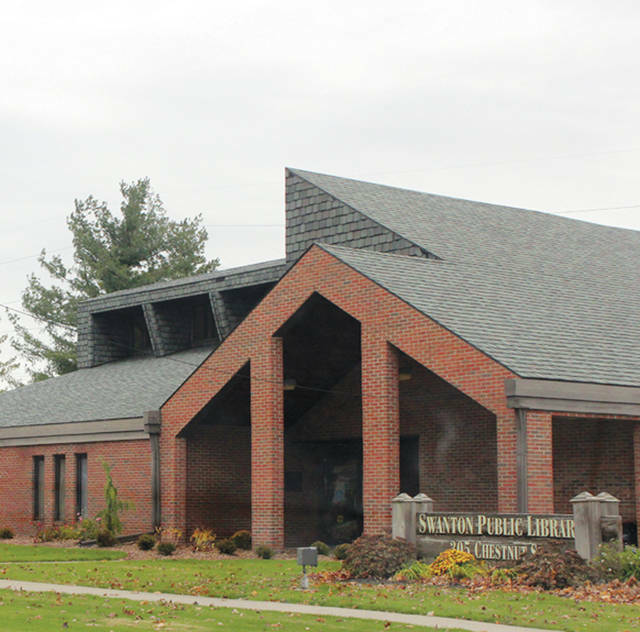 A busy month of September is planned at the Swanton Public Library with several adult programs offered. Mixed Level Hatha Yoga I & II will be held on Mondays, the 10th, 17th, and 24th from 10:15-11:45 a.m. These sessions are slightly more advanced, providing an opportunity to expand participants’ skill levels. Class fee is $10 per session. Hatha Yoga Basics will be offered on Thursdays, 6th, 13th, 20th, and 27th from 10:15-11:45 a.m. Class fee is by donation, proceeds benefit the library. Chair Yoga will be offered on Thursdays, 6th, 13th, 20th, and 27th from 2-3 p.m. Class fee is by donation, proceeds benefit the library. The Writers Group meeting at the Swanton Public Library will reconvene on Sept. 6 at 7 p.m. Writers of all skill levels are invited to attend this informal meet-up. Join a representative from the Ohio Attorney General’s office for a free program on the current pervasive phone scams. Christa Luttmann will be in the SPL Community Room to teach you how to spot phone scams, what the most common ones are, and what resources are available to help educate yourself on this issue. This program will be on Sept. 11 from 3-4 p.m. Please call 419-826-2760, stop in to register, or register online through the library’s website, www.swantonpubliclibrary.org. Nancy Brockhoff-Dzierzawski from the Fulton County chapter of the Ohio Genealogical Society will be visiting the Swanton Public Library to answer all your genealogy questions. She will be hosting a general Q&A, and introduce you to free genealogy tools available through your local library. This free class will be held in the SPL Community Room on Sept. 12 from 6:30-8 p.m.
Just in time for butterfly migration season, Donna Mills will be teaching attendees how to paint a garden scene featuring a monarch butterfly. This class will be held from 5-8 p.m. on Thursday Sept. 13. All supplies provided. Class fee is $25 per person and registration is required. Stop in, call, or use the library website to register. opies are available behind the desk but numbers are limited. Registration is not required. Representatives from the Oak Openings Metropark will be visiting the Swanton Public Library to talk about the park and how to help conservation efforts in your own back yards. This program will focus on monarch butterflies and other pollinators. Gardeners, they’ll also share tips and tricks for attracting pollinators to your yard, how to help monarch butterflies on their winter and spring migrations, and how to overwinter your garden in a pollinator friendly way. This program is free. It will be held Tuesday Sept. 18 from 5:30-6:30 p.m. Call, stop in, or visit the library website to register. The Children’s Room will be taken over to play Superfight, “the game of absurd arguments,” from 6-8 p.m. on Wednesday, Sept. 19. “It’s like Apples to Apples, but with superheroes,” said adult services librarian Anna Burwell. Don’t want to play Superfight? Never fear; the games collection will be at your disposal all night! Pizza and other refreshments provided. September’s card making class will be held on the 20th in the Community Room from 6:30-8 p.m. This month, Anna Geis will teach you how to work with cut-outs and hole punches. Class fee is $6 (for three cards) and all supplies are provided for you. Children 8 and older are welcome accompanied by an adult. Call or stop in to register. The second meeting of the movie discussion group will be Sept. 26 from 7-8 p.m. This month’s film will be Moonrise Kingdom. Copies of the film are available behind the desk at SPL and will check out for one week to give you time to watch. But don’t wait, copies (and room) are limited—so stop in to check out your copy today! Registration is not required for this program. Come and join the chess group on Wednesday evenings at 6 p.m. or Saturday afternoons at 1 p.m. Players of all skill levels are invited. Also head to the library for the monthly knitting group on Wednesday, Sept. 5 and 19 from 6:30-8 p.m. No experience required and all are welcome. Brailey Depot Day This Month! The annual Brailey Depot Day will be from 11:00 am to 3:00 pm on Saturday, September 15. Enjoy some fun old-fashioned festivities at the restored depot such as walking with stilts, playing chess, pressing cider, or making yarn dolls, candles, or rope. Local cartoonist Don Lee will also be there to do free caricatures. The Jim Wagoner family opens the depot for this family event each year to benefit the library; refreshments are available for a donation. The Depot is located on County Road 3; park at the Brailey Union Church. Everyone is welcome!